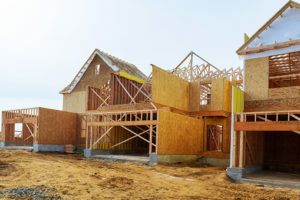 Set up job site storage for the roofers that will come in and put the top on your residential or commercial property and they will have a great place to go for the items they need. Our team at Haulaway Storage Containers can offer you a variety of sizes to make sure you have the container that will be perfect for the job you need to get done. Let the roofing contractor that’s going to build the roof on your building have the right job site storage for the work getting done. 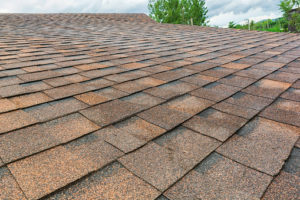 When you call us you will be able to choose from five sizes to store the materials needed by your roofing contractor. We have containers that open on both ends and the quality location for the job site storage you want to offer the team that’s going to put the top on your building. We’ll deliver the right job site storage containers that are perfect for you to make sure the roofers at work can keep their stuff where they can get to them easily and make sure they can get the job done quickly and more efficiently. Once the job is done, and you need the job site storage container picked up, we’ll be out quickly to remove it from the property. This allows the roofers to have what they need while the work is taking place and the container to be gone when the work is done. One call to our team at Haulaway and your roofing contractor will be thanking you for the job site storage you let them enjoy when it’s time to get things done. Give us a call and we’ll make sure your contractors have what they need to do the job right. This entry was posted in Storage Containers on April 11, 2018 by Haulaway Blogger. When you’re called upon to build a home or business, you need to have job site storage containers for all the materials for the job including the drywall. 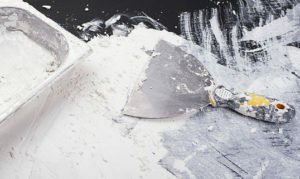 As a material that is meant for indoor use, you don’t want to have the drywall you order getting wet and ending up damaged because you didn’t store it in a place that allowed it to get wet. Give us a call at Haulaway Storage Containers and let us offer you the drywall job site storage you need to make sure your materials stay dry. When you store your drywall in one of our job site storage containers you’re going to have a sealed container that won’t allow the rain or weather to get in. You can feel secure knowing all the materials you put in one of our containers will remain safe and secure after you’ve secured it every night. We offer five different sizes to make it easy for you to have the job site storage containers you need to keep your drywall and other materials safe and secure from the elements and the weather which also makes it easier for you to get your job done. Don’t trust the old and worn out containers that some companies offer, let us offer you the right place to keep your drywall. Our job site storage containers are guaranteed to be safe from the weather to make sure you can know your materials and your tools will be safe and secure for every day you need to get to work. Call us at Haulaway and we’ll bring the job site storage containers that will be the place you’re looking for to keep the drywall and other materials in you’ll need for the job. This entry was posted in Storage Containers on April 4, 2018 by Haulaway Blogger. If your job requires you to have storage containers to keep the materials, including sheet metal, for the job you need to call our team at Haulaway Storage Containers. Our team of experts will provide you with the right storage for your sheet metal so that the contractors you have on site can get the job done the right way. No matter the container size you’re looking for, we have the right one for you with five different sizes to choose from and the durable build that makes our containers the ones you should trust. Do you need a container that can be opened on either end? If so, the storage we offer for sheet metal that will be right for your contractors will be the twenty-one or twenty-six-foot containers. With one or more of these job site storage containers you’ll be able to offer a place to keep the sheet metal needed for the job at one end of the container with the tools at the other end once the work day has completed. This makes having a container that opens on both ends right for the work you need to get done. When you provide the right job site storage containers for the sheet metal work to get done, the team will be able to work quickly and know the tools and the materials they use will be secure and ready for them on a daily basis. Choose our team at Haulaway to provide you with the storage you need for the sheet metal your contractors will be using on the job. They will certainly thank you for providing the right place to keep their gear and materials to get the job done the way you want. This entry was posted in Storage Containers on March 27, 2018 by Haulaway Blogger. Finding the right job site storage containers for the plumbers on your job to use can be a challenge unless you know the right team to call. Give us a call at Haulaway Storage Containers and let us handle the job site storage needs you have. We can provide you with the storage container that’s the right size for you to be able to complete the job you have to get done. When you provide our storage containers for your plumbing contractors, they will be able to get the job done more efficiently. The job site storage containers we offer can be delivered and set up wherever you want on the location. This will be the storage for your plumbing contractors to keep all their materials, tools, and necessary equipment while they work on the residential or commercial property you need them to set up with the running water that’s needed. Check out our job site storage containers and give us a call to make sure you can have the right place for your plumbers to keep their stuff while on the jobsite getting the work done. 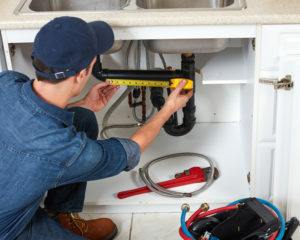 Why do you want to provide storage for your plumbing contractors? By offering the right job site storage containers for your plumbers they will be able to be more efficient on the job site and will make it easier for you to have the place they can securely keep their items. Give us a call and let us offer you the job site storage you need for the work that’s about to get done. Our team at Haulaway Storage Containers can help make sure you have the right place for your contractors to keep the materials and tools every day. This entry was posted in Storage Containers and tagged job site storage, job storage containers plumbers, storage for plumbing contractors on March 21, 2018 by Haulaway Blogger. 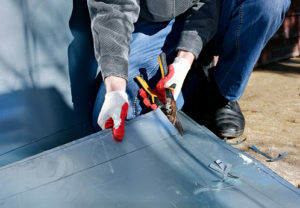 The job site storage containers you need as an electrician can be found at Haulaway Storage Containers. You’ll be able to choose from five different sizes including ten, twenty, twenty-one, twenty-six, and forty-foot sizes to let you enjoy the right place to store your materials as you work on the job site. You don’t want to have to leave the job on a daily basis to go to the store to find the items you need for the day. 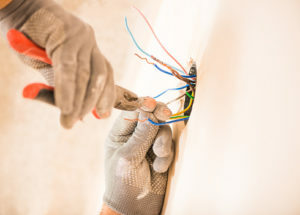 Avoid this problem and have the job site storage for electrical contractors from Haulaway. If you choose the job site storage offered for electrical contractors of either the twenty or forty-foot containers, you’re going to have the benefit of the patented “Rhino Locking System.” This is a system on the job storage containers we offer at Haulaway that provide you with the best security in the industry. If you need to have access on either end of the container to the materials you store inside, choose the twenty-one or twenty-six-foot sized containers. These are the right containers for any electrician to have a secure location to keep the materials needed for a job. Not only will you want to have one of the job site storage containers from our team at Haulaway for the work you can get done, but you’ll be the electrician that’s the envy of the other contractors on the site because you have a place to keep your tools and your materials. Let those other folks know about the job site storage offered by our team at Haulaway so they too can experience the convenience of the container storage offered. These containers are great for electrical contractors and for every type of construction contractor on the job. This entry was posted in Storage Containers on March 14, 2018 by Haulaway Blogger. As you plan your next job, you need to figure out where you’re going to find the right storage containers to keep the materials you’ll use. When it comes to what other contractors in your area like the best, the containers from Haulaway Storage Containers are the team you need to turn to for the job site storage solutions that are right for you. Give us a call and let us help you have the container you need for the job that you’re about to work on with your construction crew. What makes the job site storage solutions offered by Haulaway the right choice for you? Our storage containers are offered in a variety of sizes to make sure you can have the right choice for you. Even if you’re about to work on a small job, you can choose the right one of the job storage containers from our list of models and keep the job affordable for you. As the leading choice for contractors across several states, you’re going to be glad you called Haulaway to find the right container to store the materials in that you use on the job site. On the job, you want to have storage containers that make your job easier. Choose the right models that other contractors rave about and select from the five different sizes and the impressive construction style that keeps your items safe and secure on your job site. The storage containers we have at Haulaway can make it easier than ever for you to have the right place to store the items you’re going to need when you get to work on a daily basis. Give us a call today and let us bring you the container for your job. This entry was posted in Storage Containers on March 7, 2018 by Haulaway Blogger. Who can Rent a Metal Storage Unit? Metal storage units can be useful to a number of people. Here are some of the people that can rent one when the need arises. Metal storage units can be a great resource for families who need to store some of their possessions somewhere besides their primary residence. In many cases, it is not possible to rent or buy a home large enough to accommodate all the items you’ve acquired over your entire life. You don’t want to get rid of objects that might be valuable either literally or sentimentally, but you don’t necessarily want them in your house at all times, either. Renting a unit is relatively cheap, and is affordable for a wide range of people, so it’s increasingly common for people to keep some of their stuff in a secondary location. These units are accessible whenever you need them, and are secure, so you can be assured that your belongings will be safe until the next time you need them. Metal storage units are very useful to people that are relocating to new places. If you get a new job that will require that you change your residence, you can rent a storage unit for the storage of some of your item until when you buy your own home or when you will be able to rent a new apartment that will accommodate all your possessions. There is some renovation work that will require the occupants of the home to evacuate their properties. If you are embarking on such work, definitely, you will not keep all your property outside your home. The best way to store them safely is renting a metal storage unit. There are extra large sizes of metal storage units that can accommodate a large number of items at the same time. These temporary units are a great, versatile source of as-needed space for people whose homes are under construction for a short period of time. Storage facilities can be a good place for students to pack their books or other property that they need either during school years or during vacations from school, but not at the opposite time. Besides, student who just moved to a new university and have not settled down can also rent storage facilities to keep some of their belongings until when they able to settle down. Teachers and professors may also have the need to store their books in metal storage facility if their personal libraries can no longer accommodate them. Storage units are good options for businesses that do not have enough space to pack some of their tools and items belonging to the business which they do not use on a regular basis. Besides, businesses can also rent storage facilities and keep some of their important files in the unit. Apart from the above mentioned people, any person can also make use of storage facility in order to keep some of their valuables. The point is that anyone who has too many belongings for their current space can make use of a secondary storage space. This entry was posted in Storage FAQs on January 16, 2013 by haul2013away. In general, storage units or containers are rented out to people who need them by companies that maintain a wide array of sizes and types of units. Of all the available types, metal units are often the most durable and reliable, since they’re made from materials like steel and aluminum. Depending on the size unit you get, just about anything can be stored inside, from books to boats. Storage units like these are usually located outside the city limits or in rural areas, but some facilities operate inside the city. Metal storage units are also often used as containers for the shipping numerous things overseas. Normally, many items can be shipped across the high sea at the same time, though they often have to be packed in separate containers, depending on what’s being shipped and how much. Most of the containers used for the storage on transport ships are made from metal. There are a variety of features available with metal storage containers, including temperature control. These types of metal containers are used for to store items that can be adversely affected by drastic changes in temperature. They are also good for storing perishable items and sensitive medical supplies. Chemicals and drugs that are sensitive to temperature changes can be stored using these sorts of metal storage units. Storage units constructed with metal offer a number of advantages that you won’t always find at other storage facilities. For example, they’re well-guarded against rodent infestation, like rats or mice. Normally, rodents live where they can easily burrow to create space to live, store food, keep litters, and hide. However, they can never burrow in metal containers, since it’s impossible for them to tear the material with their teeth and nails. Therefore, their chances of surviving there are slim. This is why rodents are not normally seen in metal containers. Metal storage units are easy to relocate. The company owners can easily move and ship all their storage units to a different location without losing them or harming the materials inside. They can also sell them to another buyer, who can move them wherever they like. This is not the case with stationary storage units. What size unit do you think you’ll need? The larger sizes can be cut down into many smaller units while the smaller ones can be joined to form a larger size. This is another advantage of metal storage units that you won’t find in units made of other materials. Despite the advantages of metal storage units, they also have some drawbacks. One of the downsides of metal storage units is that they can be too heavy for certain uses, even though they can typically be moved from one place to another. Large equipment, like a crane, will be required to move them from place to place. This entry was posted in Storage FAQs on January 14, 2013 by haul2013away. What are Metal Storage Units used For? The popularity of metal storage units continues to grow at a very fast rate. This is because of the fact that they are durable and provide for secure storage. They are also widely available in addition to being affordable when compared to storage units made of other materials. Apart from ready-made units in the market, users can also opt to buy customized metal storage units, in which case they can choose the design and materials they prefer. Here are some of the common uses of these metal storage units. Safes – Safes are metal storage units specially designed and constructed for the purpose of storing cash and other valuables. Most are designed to be fire resistant and actually feature a fire rating. These are used in varied areas including retail outlets, financial institutions and offices as well. They are also used in homes. Safes are available in different sizes to suit different valuable storage needs. Gun safes are one important and common use of safes. Guns and ammunition must be kept in separate, secure locations, for safety. Metal Document Units – These units tend to be fireproof as well, because they are used to store paper documents that could easily be damaged in a fire. These units are typically used in office settings. Metal Filing Units – These are not fire-proof and are mainly used for storing document files. They are designed with shelves and drawers that provide for easy storage and access to stored files. They are very common in registry departments of companies and other organizations. Metal Media Units – These are specially designed metal units that are designed to be fire-proof and used for storing varied computer media including CDs, CDROMs and diskettes amongst others. Metal Inflammable Units – These are specially designed storage units used for storing inflammable goods. They are common in retail outlets where such commodities as gas cylinders are sold. They are usually designed to be fire resistant. Metallic Bathroom Units – Storage units designed for bathroom use are quite common in homes. People use them to store toiletries, towels, and toilet paper to keep these items close at hand but out of sight in an attractive storage unit in the bathroom. Metallic Kitchen Units – Units designed for kitchens will have drawers and shelves for the storage of pots and pans, cutlery, cookware, or other items that people want close at hand in a kitchen but need a place to store. They can be custom designed or bought as is from any number of home goods stores, online or in person. Garage Storage – Perhaps there is nowhere that metal storage units are as valuable as in garages. Those designed to provide for garage storage are large and have their internal sections strongly constructed. These are in most cases used for storing vehicle spare parts and other accessories. Metal storage units can be designed for any number of uses, and depending on size and structure may be best suited for any of the above uses. They are highly useful and very common. They may be purchased from various retailers depending on the use they are needed for, online or in a physical outlet. This entry was posted in Storage Containers on January 12, 2013 by haul2013away. In the same way that the storage needs of individuals or businesses differ, metal storage unit manufacturers work hard to design and provide a variety of different sized units for their clients. Individuals and companies alike can easily find storage units that are the exact size to fit their requirements. Custom-sized storage units are also available, which are designed and manufactured according to specifications provided by the client. Compared to standard units, custom-sized units do cost slightly more due to the customization. If you want to get technical, safes are the smallest available metal storage units, but that doesn’t mean that all safes are small. The smallest units are designed for use in homes and by small businesses for storing cash and other valuables. Financial institutions handling large amounts of money typically make use of larger safes, and because they are specially designed to provide for fire-proofing, safes are generally very expensive. Mid-sized metal storage units are considered the most common because they’re used in a variety of areas. They are typically designed for office and home use. While those for office use are mostly used to store files, those for home use can have a variety of different features to suit any need. While some are left open without any compartments, others feature shelves. Still others feature lockable drawers or doors for securing stored items. When it comes to large metal storage units, they’re most often used by manufacturing companies for storing raw materials or finished goods, retail outlets for storing flammable items such as gas cylinders, and shipping companies. Any units used by shipping companies are designed to withstand the stress of transport and long shipping times. While many units don’t feature any special customization, others used for transporting perishable items feature refrigeration equipment for temperature control. These metal transportation storage units, typically referred to as “shipping containers,” are now often used as offices and stores, depending on where and how they’re utilized. The larger 40 or 80-foot units are occasionally transformed into temporary or permanent housing. The size of metal storage units is very important because it’s a unit’s size that informs its use. In addition to size, a customer may also want to consider design, style and color. While these units are typically constructed of metal like steel or aluminum, they may also have a vinyl or other coating that can come in a variety of colors. Something else to keep in mind: larger units typically cost more. However, it’s good to note that a unit’s functionality can also determine its price, so even a smaller unit like a safe can be expensive despite its reduced size. In order to ensure uniformity when it comes to metal storage units, size standards are in place. All manufactures are obligated to keep units of certain standardized sizes to ensure that consumers have access to similar units across the world. This entry was posted in Metal Storage on January 11, 2013 by haul2013away.